OpenVPN Access Server provides secure access to your private enterprise network, in the cloud or on-premise. It’s secure, economical, built to scale with your company, and constructed with powerful cyber protection in mind. 1. Provide secure remote access to internal data. 3. Block unauthorized access to your internal databases. 4. Increase mobile workforce productivity. 4. Extend centralized unified threat management to remote networks. Downloaded by millions of people and businesses worldwide, and used by IT and Fortune 500 Companies, OpenVPN is the provider of next-gen secure and scalable communication services. Our award-winning open source protocol is the industry standard for accessing private information securely. The only true VPN dedicated to Business. TEST DRIVE ACCESS SERVER. Downloads come with TWO FREE connections for testing. 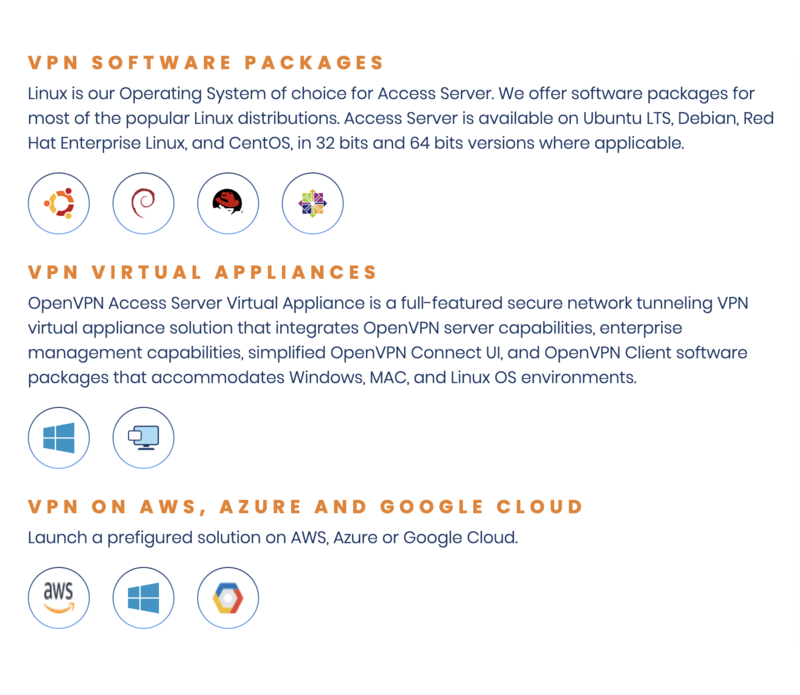 OpenVPN provides flexible VPN solutions to secure your data communications, whether it's for Internet privacy, remote access for employees, securing IoT, or for networking Cloud data centers. Our VPN Server software solution can be deployed on-premise using standard servers or virtual appliances, or on the cloud. Downloaded by millions of people and businesses worldwide and used by IT and Fortune 500 Companies, we are the provider of next-gen secure and scalable communication services. Our award-winning open source VPN protocol is the de-facto standard for accessing private information securely. 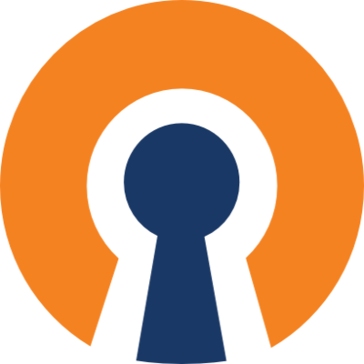 We are the author of open source Virtual Private Network (OpenVPN) software and the provider of multi-platform OpenVPN applications across all OS platforms ranging from Windows, MAC, Linux, Android, and iOS and end to end OpenVPN Server on Cloud, OpenVPN Server as Virtual Appliance, OpenVPN Server as Software Packages, and OpenVPN as a Service (Private Tunnel), addressing the market demands for Remote Secure Access, Access Control, and Cyber Security targeting businesses of all size across the globe.